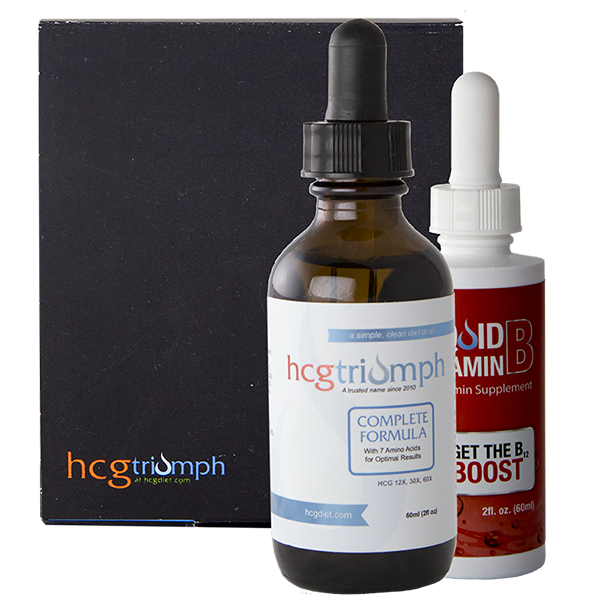 HCG Triumph is the leader in HCG Diet Drops and support products. 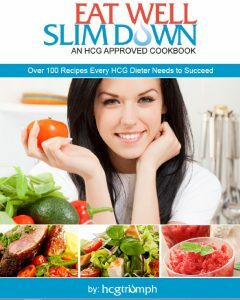 To help you find success on the diet we have made this detailed recipe guide with over 150 HCG phase 2 approved recipes. You can find all the recipes below or you can enter your email and get a printable recipe book. GET THE EBOOK!GET THE EBOOK! We didn’t create HCG in a lab. In fact, this “miracle” hormone comes straight from the human body. Born and bred in a little town called London, Albert Simeons was the first scientist to connect the dots between human chorionic gonadotropin (HCG) and weight loss. With years full of extensive research and honors in Europe, Dr. Simeons eventually made his way to India in the early 1930’s. For 18 years, he studied a broad range of topics, including pregnancy, obesity, and disorders of the glands. It was during his studies that he made a surprising discovery: overeating isn’t at the root of obesity. In fact, Dr. Simeons came to firmly believe that eating habits had little or nothing to do with the body holding onto weight. Dr. Simeons’ findings made him passionate about the growing obesity problem. More and more, he saw the need for a weight loss solution that actually worked. Yearning to treat the increasing problem of obesity, Dr. Simeons remembered something he had observed during his time in India. It was there Dr. Simeons discovered how the HCG hormone helped disperse bad fat from around the hip and stomach region in several young male subjects. Knowing he was onto something big, Dr. Simeons accelerated his research. His findings indicated the HCG hormone stimulated bad stored fat. This caused the body to move the stored fat. Once stored fat was being moved by the body from its location, Dr. Simeons realized a restricted calorie diet would then force the fat—already in motion—for fuel, leading to rapid weight loss. As he experimented with the hormone, he saw weight immediately dropping from his patients! Additionally, the hormone decreased his patient’s appetites. This caused their stored fat to vanish. Eventually, though more research and testing, Dr. Simeons developed a diet protocol to maximize the weight-loss potential of the HCG hormone. He created a list of approved foods, and the HCG Diet was born. The HCG Diet has come a long way since Dr. Simeons’ discovery in the 1950’s. After spending decades being tested and refined, the HCG Diet is ready for the public. The result is nothing less than miraculous. People who have struggled with obesity for an entire lifetime are now losing weight they never thought they’d be able to shed. The HCG diet is real. It comes from a lifetime of extensive research. Follow the protocol and discover how your body can return to its proper weight within a mere few weeks. Part of the miracle of the HCG Diet is how simple it is. The entire diet can be divided into three simple phases. The next 48 hours is all about eating full portion servings of high fat foods. This may include: eggs, avocados, butter, yogurt, dairy, nuts, seeds, etc. If you have any cravings for high fat food, now is the time to get them out of your system. Fill up on anything with high fat content! Two days of fat loading may seem like an unnecessary step, but it’s actually quite crucial. The fat loading phase stocks normal fat cells and prepares the body to burn abnormal fat, resulting in fast weight loss. Don’t skip these two days! Days 3-23 (26 day kit), Days 3-37 (40 Day kit) or Days 3-13 (Mini kit): After you’ve sufficiently stuffed yourself with high fat foods, it’s time to move on to a much healthier and thinner life style. 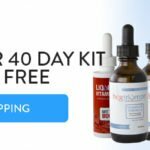 By now, you’ve probably realized how well the HCG serves as an appetite suppressant (in fact, many people talk about how hard it is to load up on fat when they don’t feel hungry). Cutting calories should be something you look forward to! As Phase 2 begins, continue taking the HCG drops three times per day. It’s also time to begin the 500 calorie diet explained in depth on page 7. The length of this phase will vary based on how much weight you want to lose and which diet kit you’re using. Days 24-26 (26 Day kit), Days 38-40 (40 Day kit) or Days 14-16 (Mini kit): During the last three days of the HCG Diet, you will continue the 500 calorie diet protocol, but stop taking the drops. 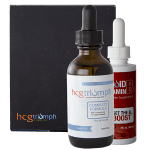 It will take up to three days for the HCG to pass out of your system. The next step, the Maintenance Phase, is a very important step to maintaining your new weight! Part of what gives the HCG Diet its miraculous fat-burning power is the HCG Diet protocol, a specific lists of approved foods developed by Dr. Simeon. Here is a list of guidelines to follow when you’re on Phase 2 of the HCG diet. *One tablespoon of milk is allowed per day. Use it here if you’d like! *You may also sweeten with the all natural sweetener Stevia! It comes in a variety of wonderful flavors to brighten up your morning! Any reasonable portion of vegetables is allowed. Do not combine vegetables during the same meal. Use chewing gum. HCGdiet.com has a variety of delicious approved flavors of chewing gum to keep your mouth busy at all times! Use Aspirin/Advil if you really need it! Space your meals out. Have a breadstick and an apple for breakfast if you’d like! Just be sure to stick to the guidelines. Keep hydrated. The water will help push out all the toxins and other waste. Follow the phases precisely. It’s simple: The closer you follow the protocol, the more weight you will lose. Weigh your meat in a raw state. Be sure to trim all the fat off before cooking as well! Take your provided B-Vitamin supplement once a day or as needed. Use Stevia for all your sweetening needs. Buy organic when possible. It’s always smart to buy foods that are grown without pesticides and other dangerous chemicals. Have fun with spices! Mix up a dish by adding a different seasoning or spice. Use fresh herbs. It’s amazing what fresh herbs can add to an otherwise bland dish. Make your own broths when possible. That way you know exactly what goes into them. Don’t cheat. Every time you veer off the diet, (even if it’s a small detour) you will be setting yourself back by several days. Try new food choices on the diet. Stick to the exact foods laid out for you and you will succeed. Mix ingredients. Remember, only one kind of fruit, vegetable and protein at a time. Skip any of the phases. All three phases are here for a reason. They are your roadmap to success! Engage in heavy exercise during the second phase. Your body will not have enough fuel for it! Stick to light exercising such as Yoga or walking. If you would rather, skip it all together during this phase. Add a glass or two of green tea daily. Don’t eat more than one apple a day, cut down apple size, or cut out apples all together. Cut beef down or out. Make up a couple of meals ahead of time. Check all condiments for sugar. Leave out one or both breadsticks or Melba toasts. No diet drinks or cheats! Evaluate your beauty products usage. Most people will eventually hit a plateau while on the HCG diet (a plateau is a period of several days where you don’t lose any weight—an interruption of your normal weight loss). These weight loss interruptions happen for a variety of reasons. For instance, everyone has variations in the retention and elimination of water. Or a woman’s menstrual cycle can hit, resulting in a few days without weight loss. Dr. Simeons explains that a plateau will always correct itself; however, it is permissible to break it up with an apple day. Other mild plateau breakers or weight loss aids are listed below. Sometimes our bodies stall because we just need a little more protein. This is the option we recommend to try first. Add a protein breakfast to the regular diet protocol by eating a whole egg and 2-3 egg whites with your normal breakfast. Remember, NO butter or oils while on the protocol. It is common when eating egg whites to overdo it on the sodium. Make sure to keep up on the water. An apple day begins at lunch and continues until just before lunch the next day. Eat at least 6 large apples throughout the day and only drink enough water to quench your thirst. Stir 2 tablespoons of apple cider vinegar in one large glass of water, and then add Stevia to taste. Drink with a straw. This can be taken in any quantity. Steam the asparagus until tender. Place the asparagus in a food processor along with the onion and puree. Pour the asparagus mixture and the remaining ingredients into a small pot and cook over medium heat until warmed throughout. 1 1/2 cups beef broth? (Optional) Serve with 1 Melba toast for dipping. Slice the meat into small chunks. Season the steak with salt & pepper and garlic powder. Place the steak, diced onion, and minced garlic in a small pot. Lightly sauté the outside of the meat over med-high heat until it is browned. Add the remaining ingredients and simmer for 45 minutes on low heat. Add additional salt & pepper and water if desired. Remove the bay leaf and serve while hot. Season the steak with salt, pepper, ginger, and garlic powder. Sauté in 2 tablespoons beef broth until lightly browned. Add the cabbage and sauté another minute. Pour in the rest of the ingredients and simmer for 30-45 minutes. Combine all ingredients in a medium sized pot and bring to a boil. Turn the heat down and simmer over low heat for approximately 15 minutes. Add more water if desired. Brown the beef along with the onions and garlic in a pot. Stir in the tomatoes, water and spices and bring to a simmer. Cook for approximately 20-30 minutes. Top with chopped green onion. Makes 3 servings. Sauté the chicken with the onion, garlic, and lemon juice in a non-stick pan until well cooked. Remove the chicken and shred it. In the same pan add the chicken broth and other ingredients along with the shredded chicken. Cook until heated through. Preheat a non-stick saucepan over medium heat. Place onions and garlic in pan and cook uncovered for 5-10 minutes. Stir in the Stevia. Cook 10-15 minutes until the onions are caramelized. Add beef broth and bring to a boil. Reduce heat to simmer, cover, and cook for 20 minutes. Add black pepper and serve. Preheat the saucepan over medium heat. Combine all the ingredients and bring to a boil. Simmer for 20 minutes and serve. Combine all ingredients except the Melba toast and sauté in a non-stick pan until the celery is tender. Adjust the seasonings to taste. Spoon over the Melba toast and serve. 1 1/2 cup chicken broth? Cook everything together until the flavors are well blended and cabbage is soft. Adjust seasonings to suit taste. Boil the chicken in 2 cups of water and the bouillon until well cooked. Take out of the water and shred the chicken. Add the shredded chicken back in along with the cumin, chili powder, onion, cayenne pepper, and salt & pepper. Cook over medium heat for 5-10 minutes. Top with chopped green onions and cilantro. Puree all ingredients, except basil leaves, in a food processor. Pour mixture into a small pot and cook until heated through. Garnish with julienned basil leaves. You may use 1 Melba toast for dipping. Sauté the veal, onion, garlic and tomato in a pan with 1/2 cup vegetable broth. When the veal is browned, add the remaining broth and other ingredients and simmer for approximately 15 minutes. Take out the bay leaf and rosemary sprig before serving. Combine all spices and rub on chicken. Grill until the chicken is no longer pink. Serve over spinach or salad greens. Top with Fresh Herb Dressing or Orange Citrus Dressing. Mix all ingredients together in a bowl. Refrigerate if needed. Combine all ingredients and add Stevia as needed. Chop apples and toss with the fresh lemon juice, cinnamon and cloves. Spread over spinach leaves and top with salt & pepper if desired. Serve with light orange dressing. Slice the cabbage thinly. Mix the remaining ingredients and pour over the cabbage. Slice the cabbage and chop the apple. Place in the refrigerator to chill. Mix the remaining ingredients in a separate bowl and pour over the chilled cabbage and apple. In a non-stick pan, sauté the lobster, lemon juice, onion, green onion, tarragon, garlic powder and salt & pepper until the onion is tender. Arrange green leafy lettuce on a plate and spoon the lobster mixture over it. Top with 1 serving of Tarragon Vinaigrette. *Serve with sliced strawberries for a treat. Soak sliced radishes in water for about 1 hour. Drain and mix in the remaining ingredients. Combine all ingredients and refrigerate for 30 minutes ñ 1 hour before serving. Combine Liquid Aminos, rice vinegar, spicy mustard and wasabi powder. Add remaining ingredients, toss and serve. Combine the steak strips, lemon juice, vinegar, garlic, ginger, dry mustard, pepper flakes, and Stevia in a zip lock bag. Marinate at least 4 hours or overnight. Pour the steak strips along with marinating liquid into a small non-stick sauté pan. Cook the steak as well as you like. Arrange the spinach leaves on a plate followed by the chopped green onion and light orange dressing. Sauté ground beef, chopped onion and spices. Sprinkle on top of lettuce and top with crushed Melba toast. Place spinach and 3 sliced strawberries on a plate. Blend the remaining 2 strawberries, vinegar, lemon juice, Stevia and salt & pepper. Pour dressing over the salad and top with fresh mint leaves. Mix all of the seasonings in a small bowl. Lay the asparagus out on a foil lined baking sheet. Brush the stems with the lemon juice. Sprinkle the seasoning mix on top of the stems. Cook in a 425 degree oven for approximately 8-10 minutes. Place all ingredients in a tin foil bag. Cook in the oven or on the Barbecue until onions are tender. Combine the lemon zest, 1/2 the lemon juice, garlic, crushed red pepper flakes, and salt & pepper to taste. Place the beet greens along with the other half of the lemon juice in a small sauté pan. Cook until the greens are wilted, approximately 3-5 minutes. Mix with the lemon zest mixture. In a small bowl, mix the garlic and onion powder, cayenne pepper, salt & pepper, and crushed Melba toast. In a small separate bowl, place the milk. Dip the onion rings in the milk to coat and then roll them in the toast/spices mixture. Place them on a cookie sheet, lined with tin foil. Cook at 425 degrees for 15 minutes, turning once. Slice cucumbers and add remaining ingredients. Chill before serving. Trim the stems and roots off of the radishes. Rinse and place in a bowl of water for at least 1 hour. In the meantime, mix the cumin, salt & pepper and cayenne (optional) in a small bowl. Slice the radishes and spoon the seasoning mixture over them. Use as much or as little as wanted. Top with the fresh cilantro and mix lightly. Cook the lemon juice and garlic in a sauté pan for about 1-2 minutes. Add the Swiss chard, salt & pepper. As soon as the Swiss chard wilts, take it off of the heat and serve. Place cabbage wedges in tin foil. Put a dash of water (for steaming) in the bottom of the tin foil and sprinkle garlic & onion powder, salt, & pepper on top. Wrap tightly and cook for about 30 minutes on medium-high heat. Dice tomatoes and mix with vinegar, onion, parsley and seasonings to taste. Serve over 1 Melba toast. Combine all ingredients in a bowl. Pour into a tin foil bag and cook in a 400 degree oven for 15-20 minutes. Preheat a non-stick pan over medium heat. Snap off woody ends of asparagus stems and discard them. Cut the stems into thirds. Add the garlic and ginger to the pan and cook for 2-3 minutes. Add asparagus and water. Bring to a boil for 5 minutes. Remove asparagus and top with lemon zest and pepper. Sauté the garlic cloves along with the lemon juice for approximately 2 minutes over medium heat. Add the lemon zest, Swiss chard, salt, pepper and crushed red pepper flakes if desired. Cook until the chard leaves begin to wilt. Remove from heat and serve. Mix onion and other ingredients. Grill in a non-stick pan until tender. Place asparagus in a shallow baking dish. Top with remaining ingredients and cook in a 375 degree heated oven for approximately 5-10 minutes (or until tender). Place fennel wedges on a foil lined pan. Brush the balsamic vinegar lightly over the fennel. Sprinkle on garlic powder and salt & pepper. Bake at 400 degrees for 20-30 minutes until fennel is cooked through. Slice the onion into rings and put in a non-stick pan along with the lemon juice. Add the rosemary, garlic and salt & pepper. Cook the onions until tender. Sauté the garlic in 1 tablespoon of chicken base or water. Add remaining base and spinach and toss until it starts to get soft. Remove before it turns into mush. Cover and steam for 5-10 minutes or until slightly tender. In a small bowl, combine spicy mustard and lemon juice. Place the cabbage in a bowl and add the lemon/ mustard mix. Mix and sprinkle with salt & pepper. Slice the radishes and place in a pot along with the rice vinegar and water. Bring to a boil and then simmer for approximately 10 minutes. Serve hot or cold with a little salt & pepper. Place the cabbage, lemon juice, onions, garlic & onion powders, salt & pepper in a sauté pan. Cook over medium heat until cabbage begins to soften. Stir in the balsamic vinegar and fresh parsley and serve. Slice the radishes and place in a tin foil bag along with the remaining ingredients. Cover and cook on the grill or in the oven until the radishes are tender. Put a medium size sauté pan over medium heat. Place the sliced garlic on the sauté pan and cook until it is toasted on each side. Remove garlic, mince and place back in the pan along with the asparagus, lemon juice, water (if desired), and salt & pepper. Cook until asparagus is tender. Top with chopped fresh thyme. Lay tomato slices out on a plate or a cooking sheet. Top with remaining ingredients. Eat fresh or cook in a 375 degree oven for 5-10 minutes (or until warmed through). Mix ingredients in a bottle and shake well. Mix all ingredients and use to marinate meat or pour over a fresh salad. Orange Citrus Dressing–Try this one! You can use this dressing for a salad or as a marinade. The orange flavor is wonderful! Puree in a blender. This dressing is great on salads, cucumbers, strawberries and even some meat. Add to taste: salt, pepper, dried shallots, garlic powder, onion salt, chives, dried cilantro, parsley, basil, and Stevia (start with one dropper full and add to taste). Remove tarragon leaves from the wood stem and chop fine. Mix remaining ingredients and serve over spinach or green leafy lettuce. Tarragon has a very distinct and wonderful taste that borders somewhere between mint and licorice. Fill saucepan 3/4 full with water and bring to a boil. Add chicken and seasonings and boil for 20 minutes. Remove boiled chicken and serve or save for later. Strain out bay leaf and seasonings. Let broth cool to room temperature. Skim fat off surface (if any). Refrigerate the broth, then remove and skim the rest of the fat from the top. Store in the refrigerator or freeze for later use. Zest the lemon and squeeze the juice into a small bowl. Add the remaining ingredients and mix well. Let steak marinade for at least 6 hours, or overnight. Add 1/4 cup broth to a small saucepan and bring to a boil. While broth is heating, grind Melba toast in a food processor until it is a powder. Add the powdered Melba to the pan, whisking constantly until dissolved. Still whisking, add remaining 1/4 cup broth. Reduce heat to medium and whisk for 3-4 minutes, until thickened. Add some salt, pepper, thyme, sage, or poultry seasoning for more flavor. Feel free to add any additional spices you would like! Combine all ingredients and let marinade over chicken, fish, or steak for at least 4-6 hours. Garnish cooked meat with 1 teaspoon chopped rosemary. Add all ingredients in small pot and bring to a boil. Reduce heat and simmer for 10 minutes on low. Stir frequently. Store remaining sauce in a glass bottle in the refrigerator. Mix all ingredients together and generously rub into the meat. Place all ingredients in a food processor or coffee grinder. Grind to a powder and store in an airtight container. *Use this as a coating on your meat before you cook it. Dampen the meat, then coat. This is great on chicken, fish, shrimp, even steak or burgers. This yields several portions. Mix all ingredients in a bowl. Store the rub in the refrigerator. Mix the shrimp, cilantro, red pepper flakes, and salt & pepper in a small bowl. Marinade for at least 2 hours. Place on skewers, alternating with the cherry tomatoes. Cook on a hot barbecue, frequently bast- ing with marinade. Finish with salt & pepper. (Skewers do best when elevated or placed on foil to prevent burning and sticking)! Preheat a pan over medium heat. Add the onion and garlic and cook until they are translucent. Add shrimp, seasonings and water. Mix and stir fry until cooked through. Place the orange roughy and remaining ingredients in a small baking dish and cover with tin foil. Bake the fish at 350 degrees for 10-15 minutes or until cooked through. * May serve with a side of orange zest asparagus. Lay the halibut on a sheet of tin foil. Bend the edges of the tin foil up around the sides of the fish (but not over it), to prevent spilling. Baste the fish with the lemon zest, juice, fresh dill, onion powder, garlic powder and salt & pepper. Place on the barbeque and cook until the fish starts to fall apart. Add water, apple cider vinegar, seafood seasoning and shrimp to a saucepan over medium-high heat. Let the water come to a slow boil. When the shrimp start floating, remove from heat and drain. Immediately place shrimp in ice water for 1 minute. Drain and serve immediately or chill in the refrigerator. Steam the shrimp until completely cooked. Place in refrigerator until chilled through. While the shrimp is cooling, mix all ingredients in the cocktail sauce. If the sauce is too thick, add a little extra lemon juice or water. Add the shrimp, fennel, garlic, onion, and lemon juice in a non-stick sauté pan until the shrimp is cooked. Add the remaining ingredients and simmer on low until heated through. Cut off fronds from stalk and chop roughly. Chop the fennel bulb and place in a nonstick pan along with lemon juice, onion, garlic, salt & pepper. Cook until both the onion and the fennel are tender. Stir in the fennel fronds and set aside. While the fennel is cooking, place the halibut in a tightly covered baking dish and top with salt & pepper. Cook at 425 degrees for approximately 10-15 minutes. Put the halibut on a plate and top with the fennel mixture. Place the fish in aluminum foil. Top with remaining ingredients and wrap up securely. Place on grill until cooked through. You may also place it in the oven at 350 degrees for 20 minutes. In a non-stick sauté pan, add the shrimp, lemon zest & juice, vinegar, red & green onion, garlic cloves, onion powder, cayenne, and salt & pep- per. Grill the shrimp mixture on medium heat for 5-10 minutes or until the shrimp are lightly browned. Place the Melba toast on a plate followed by the lettuce. Spoon the grilled shrimp mixture on top followed by freshly ground black pepper. Place fish in a small bowl. Add garlic, black pepper, salt, cumin and turmeric. Ensure to coat both sides. Cover and marinate for at least 1 hour in the refrigerator. Preheat the oven to 400 degrees. Place the fish in a non-stick baking dish and cover with the marinade. Bake 10-20 minutes depending on thickness, until fish flakes easily. Squeeze with lemon juice. Combine all the ingredients, except the fresh parsley, in a tin foil bag. Cook on the barbecue or in the oven until the sea bass is cooked through. (Approximately 10 minutes on high heat). Serve the sea bass topped with fresh parsley and fresh ground black pepper. Combine all ingredients except Melba toast. Sauté over medium heat until onions and celery are tender. Spoon over 1 Melba toast. Preheat the oven to 400 degrees. Tear off a large sheet of non-stick aluminum foil and place the fish on top of it. In a small bowl, combine the lemon juice and oregano, and pour over fish. Fold up the edges and completely seal the packet on all sides. Bake 1020 minutes or until the fish flakes. Sauté the shrimp in garlic, onion, and juice from 1/2 a lemon until it is cooked through. Lay out 2 large lettuce leaves and place shrimp on top. Sprinkle with zest of 1 lemon, chopped cilantro, chopped lettuce (optional), hot sauce, and salt & pepper. Squeeze remaining lemon juice on the top of each taco. Add all ingredients into a small crock pot. Add water while cooking if needed. Cook approximately 4-6 hours on low. Combine the lemon juice, celery, onion, garlic in a medium size pot. Add the cumin, chili powder and salt and pepper. Cook until the celery and onion are tender. Add the lobster and cook an additional 3 minutes. Pour in the vegetable broth, bay leaf and cayenne. Simmer over low heat for 20-30 minutes. Pour into bowl and top with fresh cilantro and fresh ground black pepper. Wrap all ingredients in tin foil and place in the oven or on the grill to cook. Bake for approximately 5-10 minutes. You may top the tilapia with additional salt and pepper, if needed. Combine tarragon, lemon juice, mustard, salt & pepper. Baste tilapia with the mixture, cover and bake in a 375 degrees for approximately 15 minutes. In a small dish, combine spicy mustard and wasabi powder. Mix in ginger. Add fish to dish and coat. Let stand for 15-30 minutes. Grill for 4-5 minutes on the George Foreman Grill until the fish begins to flake. Or you can broil it for 5-10 minutes, depending on the thickness of the fish. In a non-stick skillet, sauté the garlic and onion until tender. Remove from the stove and stir in the parsley along with the orange and lemon zest. Put halibut in an 8×8 casserole dish and cover with lemon and orange juice. Pour the onion and parsley mixture over the halibut. Top with salt & pepper. Cover and bake at 375 degrees for 2025 minutes. Cut chicken and place in a non-stick pan along with all ingredients, except green onion. Cook over medium heat until chicken is well cooked. Pour any remaining sauce over the chicken, followed by the chopped green onion. Preheat the oven to 350 degrees. In a small dish, coat both sides of the chicken with milk. Place chicken in a glass baking dish. Sprinkle top with Cajun seasoning. Bake uncovered for 20-30 minutes or until the chicken is no longer pink. Place 1 Melba toast on plate. Top with chilled chicken, basil, sliced tomato, salt & freshly ground pepper. Combine crushed toast, oregano, basil and salt & pepper. Roll chicken in toast mixture and put in a covered 8×8 casserole dish. Cover the chicken and cook at 375 degrees for 20-25 minutes or until cooked through. Top with Tomato Marinara sauce and chopped fresh parsley. Boil chicken until cooked through. Cube and place in refrigerator to chill. While the chicken is chilling, mix together the apple, celery, lemon juice, minced onion and dry mustard. Combine with chilled chicken. Spread across 1 Melba toast and top with chopped basil and salt & pepper. *May substitute celery for fresh tomato slices or bed of spinach. Season the chicken with salt & pepper and a dash of cumin. Place on the George Foreman Grill. Shred the chicken and place it in the refrigerator to cool. Mix the vinegar, lemon juice, hot sauce, cumin, garlic powder, onion powder, and cayenne (if desired). Arrange the lettuce on a plate and top with the chilled chicken and dressing followed by the green onion and cilantro. Finish with freshly ground black pepper. Salt & pepper, to taste Boil the chicken in a pot of water, drain. Shred the chicken and place in the refrigerator. To make the dressing, mix the orange zest, vinegar, fresh lemon juice, ginger, garlic, Stevia and salt & pepper. Chop up the inside of the orange. Mix the cabbage, chicken, orange and dressing in a bowl. Place first 11 ingredients in a medium pan and sauté over medium-high heat until the chicken and asparagus are cooked. Spread over 1 Melba toast topped with fresh ground black pepper. Sauté the onion and garlic in the lemon juice until tender. Add the curry powder and the salt and mix well. Place the chicken and the broth in the pan and cover. Cook the chicken over medium-high heat for 30 minutes or until cooked through. Top with fresh ground black pepper. Mix the crushed Melba toast, oregano, onion powder, garlic powder and salt & pepper in a small bowl. Coat the chicken in the toast mixture well. Place at the bottom of an 8×8 casserole dish. Cover with tin foil and bake the chicken at 350 degrees for 20-30 minutes or until chicken is cooked through. Take the foil off for the last 5 minutes of cooking. Serve with the Smoky BBQ Sauce. Preheat the oven to 350 degrees. Heat a non-stick saucepan over medium heat. Add the onion. Stir constantly until tender. Transfer onions to a glass baking dish. Place the chicken on top of the onions. Squeeze on lemon juice and sprinkle with pepper. Place garlic around and on the chicken. Cover tightly either with lid or aluminum foil. Cook for 30-45 minutes or until chicken is no longer pink. Preheat the broiler. Broil one side of the chicken for 5-10 minutes or until slightly browned. In a small bowl, add the rest of the ingredients and mix well. Spoon the mixture onto chicken. Flip over and coat the other side. Broil uncooked side for 5-10 minutes or until no longer pink. Cube the chicken and sauté in the garlic, onion, oregano, 1/2 of the juice from 1 lemon, oregano, and salt & pepper. Lay the lettuce leaves out flat and place the cubed chicken in the center. Add the chopped orange, orange zest, freshly grated ginger, fresh cilantro, and salt & pepper. Squeeze the remaining lemon juice on each taco. Preheat a pan over medium heat. Sprinkle chicken with pepper. Add chicken to pan and stir fry until brown on all sides (approximately 5-10 minutes). Add garlic and cook for 1 minute. Squeeze juice of orange quarters over chicken. Peel and separate orange into sections. Add orange sections, ginger, lemon juice, and basil. Stir well. Cover and simmer for about 20- 30 minutes. Marinate chicken in 1/2 of the lemon juice. Season the chicken with poultry seasoning, rosemary, salt and fresh ground pepper. Grill the chicken in a shallow pan on the stove top until cooked through. Top with lemon zest and additional salt & pepper if desired. Place the chicken in a roasting pan or casserole dish. Sprinkle with the chopped onion, thyme, oregano, ground sage and salt & pepper. Place the sage leaves in the pan and cover with a lid or tin foil. Cook the chicken at 350 degrees for 15 minutes or until cooked through. Sauté the chopped apple, onion, green onion, and garlic in the lemon juice over medium heat until the apple are tender. Add the basil towards the end of cooking. Mix together the hamburger, apple mixture, Worcestershire, garlic & onion powders and salt & pepper. Grill the burger until desired wellness. Combine the steak and lemon juice in a non-stick grill pan. Sprinkle lightly with garlic powder and salt & pepper. While the steak is cooking, combine the tomatoes, onion, garlic cloves, balsamic vinegar and salt & pepper. Cook over medium heat for approximately 10 minutes or until desired consistency. Spoon the tomato mixture over the steak and top with fresh parsley. Dice the onion and put in a small sauté pan with salt & pepper. Sauté onions until they are translucent. Set aside. Mix ground hamburger, onion powder, garlic powder, oregano, minced garlic, Worcestershire, and salt & pepper in a bowl. Form meat mixture into patties and place on the hot grill. Season the patties further while cooking if desired. Place fresh basil leaves on 1 Melba toast followed by hamburger patty and diced grilled onions. (Can serve onions on top or on the side). Season the cubed steak with the garlic and onion powders. Slide the beef and onion wedges onto skewers. Top with salt & fresh ground black pepper. Cook on a hot barbecue. (Skewers do best when elevated or placed on foil to prevent burning and sticking)! Combine all ingredients and put in a zip lock bag to marinate for at least 4 hours. When you are ready to cook, pour out the veal and marinade in a non-stick pan. Cook on high heat until cooked through. Pour the remaining sauce on top of the veal and serve. You may top with additional salt & pepper. Combine steak, minced garlic, garlic powder, onion powder and salt & pepper in a nonstick pan. Grill on medium high heat for 5-7 minutes. Remove steak from pan and add onions to the same pan. Grill the onions until tender and serve with the garlic steak. Dip into Worcestershire sauce if desired. Combine the lemon juice, ginger, garlic, onion, Stevia, and salt & pepper. Add the cubed steak and let it marinate at least 3-5 hours. Rinse the cherry tomatoes and place on the skewers, alternating with the steak. Cook on a hot barbecue while basting with marinating juices. (Skewers do best when elevated or placed on foil to prevent burning and sticking)! Steam the cabbage leaves until just tender. Set aside. Add the strips of lean steak, vinegar, garlic, and onion powder in a small pan. Cook over medium-high heat until steak is lightly browned. Add the remaining ingredients and finish cooking the steak. Wrap steak in cabbage leaves topped with green onion. Brown beef in a non-stick pan and set aside. In a non-stick sauté pan, grill the onion and garlic until tender. Mix the hamburger and barbecue sauce together and spread over 1 Melba toast. Top with grilled onions. Mix all ingredients together well. Bake in a small dish at 325 degrees for 15-20 minutes. Combine the oregano, thyme, garlic powder, and salt & pepper. Sprinkle over the steaks and place in a hot grill pan on the stovetop to cook, along with the lemon juice. Add the chopped basil to the top of the steaks while cooking. After the steak is done, set it aside to rest for 5 minutes. In the meantime, add the chopped tomatoes to the bottom of the same pan and allow them to cook for about 2 minutes. Spread on top of the steak and top with the fresh parsley. Preheat the oven to 425 degrees. Combine all ingredients in a bowl. Form into meatballs (makes about 6-7). Place the meatballs in a baking dish or non-stick baking sheet and cook for 10 minutes, turning halfway through cooking time. Top with Smoky Barbecue Sauce or Tomato Ketchup. Brown the veal shank in a non-stick sauté pan with 1/2 cup of vegetable broth. Season the veal with salt, pepper and garlic powder while cooking. Remove from heat and add the rest of the broth, onion, tomato sauce, crushed tomato, garlic, bay leaf, basil, and thyme to the same pan. Simmer until onions are tender. Plate the veal and pour the warm sauce over. Top with chopped parsley. In a small dish, add rice vinegar. Place the steak in to coat. In a small bowl, combine the rosemary, garlic, and red pepper. Rub on both sides of the steak. Place steak in a small dish, cover and refrigerate for 4 hours or overnight. Grill to preference. Combine all ingredients and sauté in a non-stick pan until cooked through on both sides. If the patty starts to stick, add a little water to the bottom of the pan. Place the cubed steak in a shallow sauté pan. Sprinkle the garlic powder and salt & pepper on top. Sauté the steak in 2 tablespoons of lemon juice until cooked. Mix the sauce in a separate bowl. Place steak on plate and cover with sweet & savory sauce. Mix all ingredients together. Form into meatballs and bake in a small casserole dish covered with tin foil at 350 degrees for 10-15 minutes. Saute chopped celery and apple in lemon juice. Add a pinch of salt and Stevia to sweeten while cooking. Pour over 1 Melba toast. Place cored apple in a small casserole dish. Squeeze lemon juice inside and around apple. Mix remaining ingredients in small bowl and sprinkle inside and around apple as well. Top with lemon zest. Bake at 350 degrees for 25-30 minutes. Let stand for 5 minutes and serve. Put all ingredients in a blender and blend until smooth. Add more/less Stevia depending on taste. Place the apples and lemon juice in a small baking dish. Crush the Melba toast and mix with the cinnamon, nutmeg & cloves in a non-stick saute pan. Cook the crumb mixture over low until it lightly toasts. Spread the crumb mixture over the apples. Cover and cook at 350 degrees until apples are soft. Coat the apples in cinnamon, nutmeg, cloves and powdered Stevia. Place in a shallow nonstick, saute pan along with the lemon juice and grill on medium until tender. Combine all ingredients and wrap tightly in tin foil. Place on the hot grill until apples are tender. Put all ingredients in blender and add ice as needed. Place cottage cheese in bowl. Add orange zest, Stevia and chopped orange. Mix well. Slice the strawberries and toss with the remaining ingredients. Freeze fresh strawberries for about 1 hour. Put strawberries, lemon juice and mint leaves and water (if needed) in a blender or food processor. Blend until smooth. Pour into a bowl and serve or freeze. Slice the grapefruit in half and cut along the grapefruit sections. Sprinkle with powdered Stevia and cinnamon. Place on a foil lined sheet and stick under the broiler for about 2-3 minutes (or until warm). Place juice from the apple into a large glass. Add mineral water and Stevia. Serve over ice cubes. Mix water, mashed strawberries, lemon juice, lemon zest, and lemon flavored Stevia. Serve over ice cubes. Zest the lemon into a large cup, followed by the lemon juice. Add water and lemon Stevia, to taste. Finish with fresh mint. Serve over ice cubes. Juice the grapefruit into a large glass. Add mineral water and Stevia. Serve over ice cubes. Place all ingredients in a blender. Blend until well mixed. Pour mineral water into a large glass. Add orange Stevia to desired sweetness. Serve over ice cubes. Mix water, lemon juice, lemon zest, and lemon flavored Stevia in a large glass. Serve over ice cubes. Place strawberries, milk, Stevia, lemon juice and mint leaves in a blender. Add ice cubes gradually to reach desired consistency and taste. Mash strawberries and mix with the Stevia. Spread over 1 Melba toast. *For an extra treat, use flavored Stevia. Juice apple and mix with remaining ingredients. Simmer over the stove until nice and warm. Take out cinnamon stick and enjoy. 1. Select several flavors of gum. Switch between flavors while on a diet to add variety. Xilo gum is a great substitute while on the HCG diet and comes in 4 delicious flavors. 2. Treat yourself to a dessert from our recipe book. Stick to the HCG approved desserts listed in this book. 3. Go for a walk and then drink 2 glasses of water. Think that’s too simple to work? Try it! 5. Eat a pickle! A pickle can be oh-so-satisfying! A small or medium pickle has no fat and only one carb. Even though they aren’t specifically mentioned on the approved food list. Pickles are just cucumbers in vinegar, and both of those are allowed on the HCG diet.